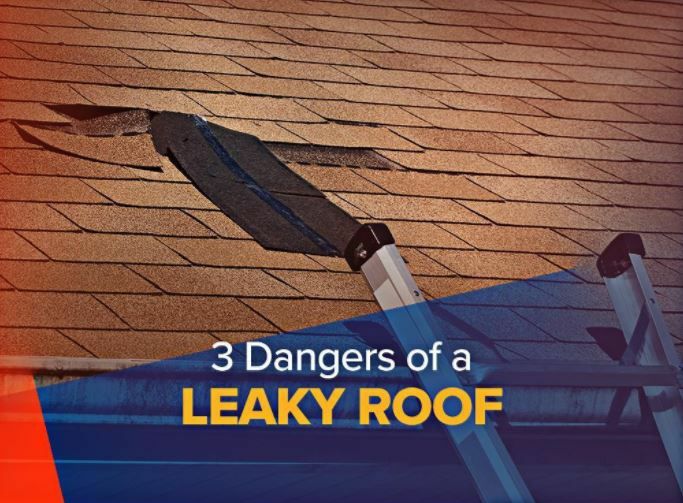 3 Dangers of a Leaky Roof - Eldridge Roofing & Restoration, Inc. Missing shingles and cracks on your roof provide a passage for water to enter your home. If you have an attic, this would be the first area to receive damage, harming the different items you store there. If your home does not have an attic, the water can damage your walls, overhead fans, and lighting. The areas where water enters your home also let energy out, lowering your home’s comfort levels. When this happens, your HVAC unit will consume more energy to maintain a comfortable indoor temperature, leading to expensive energy bills. Avoid the costs and compromised comfort that roof leaks bring by calling us for emergency roof repair. A prolonged leak can also damage your rafters and ceiling. This weakens the wooden framing and can eventually cause deterioration. Damaged wood results in peeling paint and a weak ceiling. A compromised ceiling creates a hazard. By immediately attending to your roofing needs, however, you can avoid these problems. You can count on Eldridge Roofing and Restoration for quality roofing services include repairs and replacements. Our professional team uses the best materials to ensure proper and efficient repair. Call us today at (281) 816-6006 to request a free estimate. We serve The Woodlands, Cypress, Spring and the surrounding TX areas.